1. 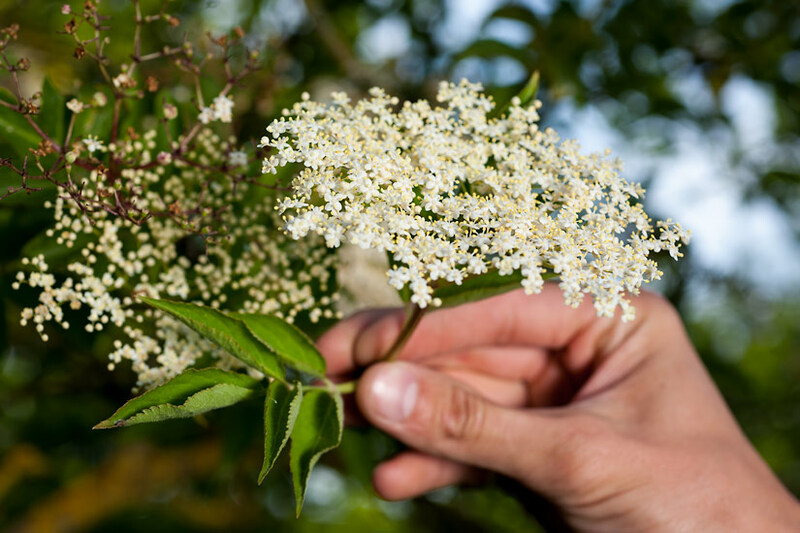 Collect the freshest elderflower heads only, avoiding those with browning edges. Gently shake the flower to remove any insects, but do not wash, as to do so would remove some of the flavour. 2. 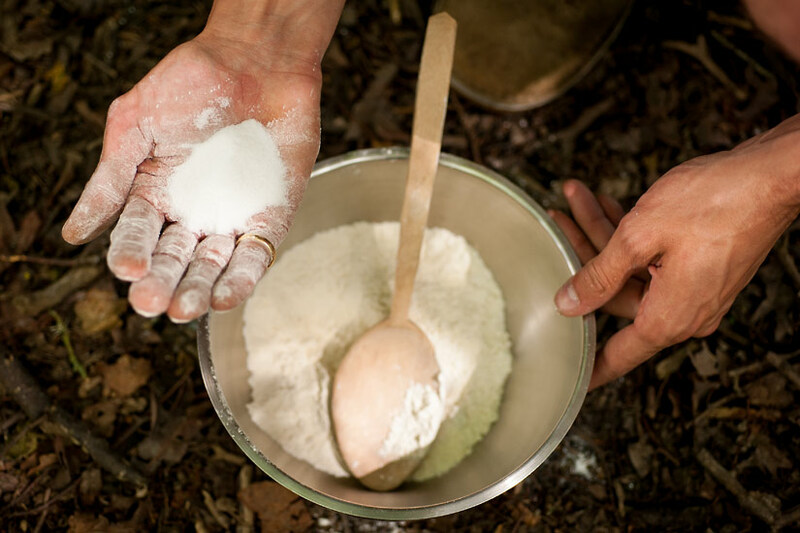 Back at camp, place the flour in a large mixing bowl and add the sugar. Aerate the dry ingredients by sifting them with a spoon. 3. Add the oil and water and whisk into a thick batter; leave this to rest for 30 minutes. Afterwards, beat two egg whites in a separate bowl and then fold them into the batter. By this stage you should have your fire ready for cooking. 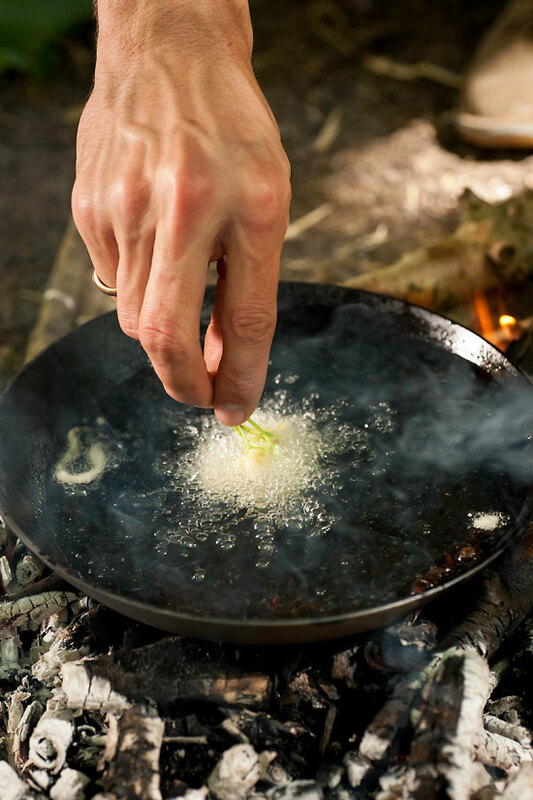 Heat a pan over the fire and pour in a decent amount of vegetable oil (you’ll need this to be deep enough to completely submerge your elderflower heads into). 4. 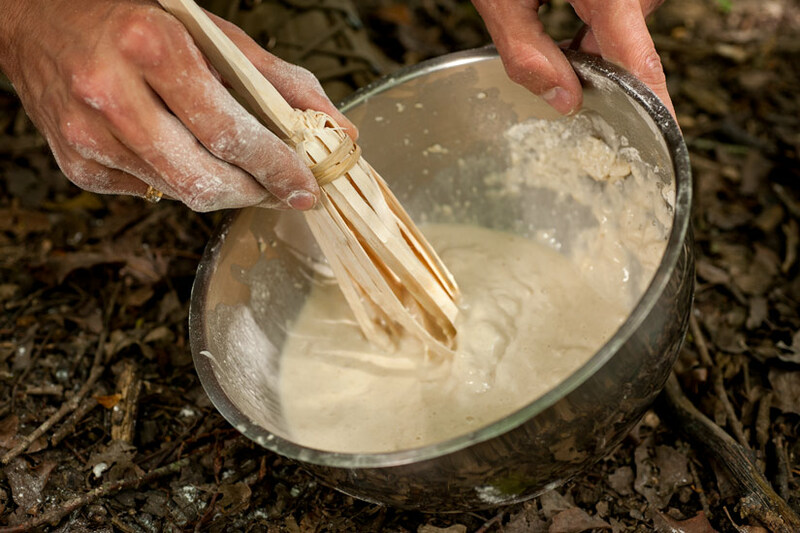 Taking a flower head by the stem, dip it into the batter until it is completely coated. 5. 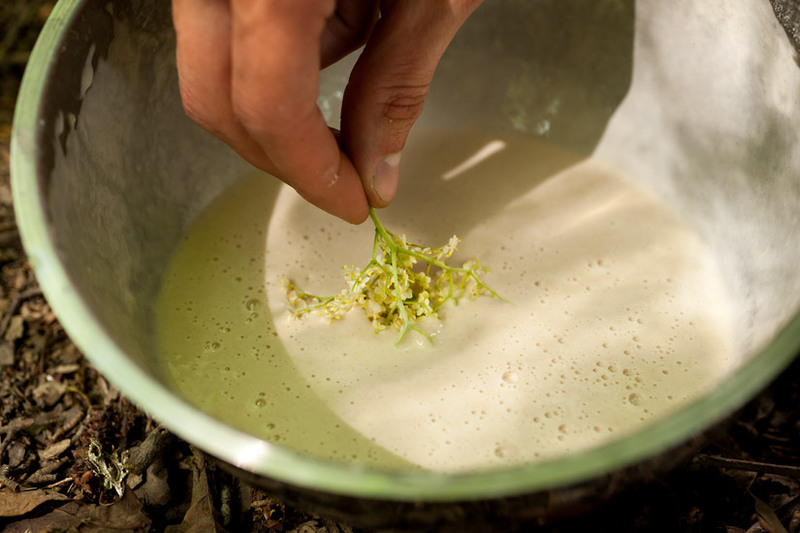 Lift the flower head from the batter, allowing any excess batter to drip off, then carefully submerge it in the oil. If the temperature of the oil is correct, it should bubble furiously upon contact with the batter. You should then be able to let go of the flower head and the stem will stay upright as it cooks. 6. 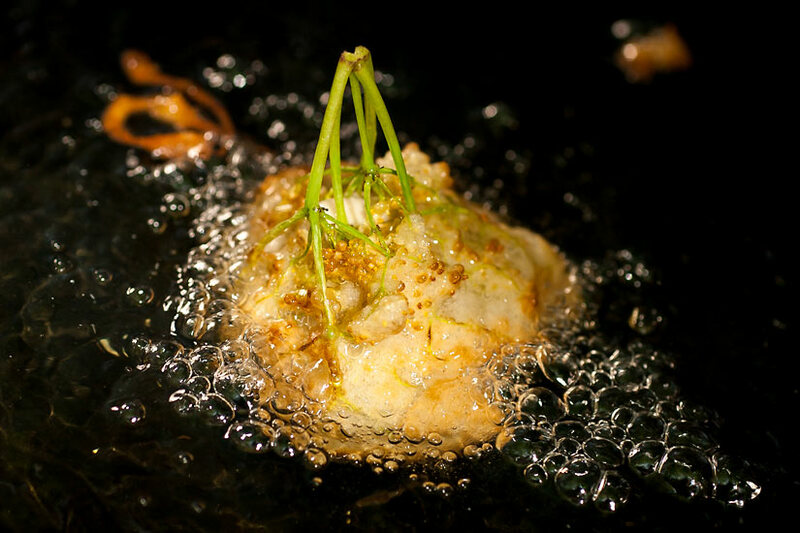 Leave the flower head to fry until crispy and golden brown. 7. 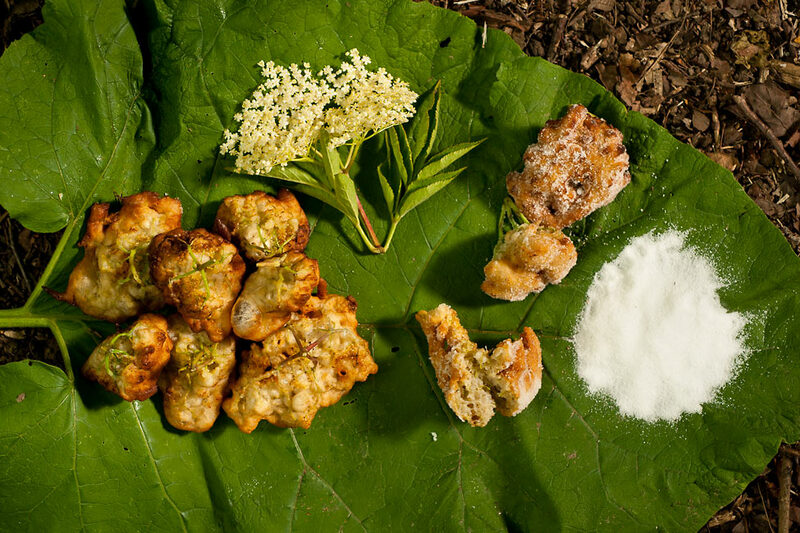 Elderflower fritters are best eaten hot, so serve immediately with a dusting of caster sugar. We also enjoy elderflowers, and berries too, over here in California for all the usual elder recipes. Good stuff! And it grows everywhere around here.